The past has not actually ceased to exist, though it has expired to some extent. We pride ourselves in how far behind us the ugliness of history lies without realizing the patterns which defined it have never truly left us. Rather, the past has merely taken multiple and different forms and manifestations. And though its methodologies seem to be less brutal on the surface, the legacies of imperialism persist through white supremacy, white privilege, assigned value and “othering”, and consequent internalized oppression of entire peoples around the world. The past has persisted into the present, and worse, this means it is also being allowed to build the future. I seek to write this article as a catalyst for thoughtful discussion amongst NGO’s, charities, aid organizations, and all those who carry with them the beautiful desire to make the world a better place.  My organization the Palestinian Animal League (PAL) was founded to improve the lives of animals and humans alike within the occupied territories of Palestine through outreach, education, and community development. Our mission is unique for the region and because of this we have been approached by and worked with many organizations around the world. Collaboration has yielded wonderful opportunities, but in some cases, it has also revealed underlying structures of power that I fear may be steering much of the charitable work happening around the world. Perceived acts of kindness are perpetuating a destructive pattern of saviors ruling incapables and a continuing exploitation of many nations for the benefit of a few powerful. Foreign aid comes with foreign agendas drafted from lessons specific to lived experiences of the West. Ultimately, this desire to help turns into the need to control. The new age saviors seek to rescue, to help, to teach, to make us understand and to enhance us in the way we think, act ,look, believe and so on. It’s no longer just a desire, but a perceived duty. When founded on the perhaps subconscious idea that “backwards locals” are incapable of leading themselves, certain personalities can flourish in this environment and yield to outright oppressive and tyrannical tendencies. I argue the future of positive international aid and collaboration will depend on an honest and sometimes uncomfortable understanding of these historical power disparities at play as well as a willingness to reflect upon and change our own roles within it as we move forward together. This problem is infinitely complex, but there are some fundamental ideas that serve as a place to start. The first can be classified as the “white savior” phenomenon, or the idea of being needed by the “ incapable other”, while still being separate from them and holding a position of authority or power (i.e. privilege). This idea which once gave justification to the brutal conquerings of early colonialists now fuels an imbalanced system of aid in which disadvantaged countries are forced to rely on the wealth and decision making of powerful and often predominantly white nations. Though the former spells extortion and the latter implies goodwill, each is deeply rooted in the destructive premise that one group is incapable of ruling or helping themselves. In this definition, the two examples are not so dissimilar; in fact, what we now think of as brutal conquering was once felt to be “the white man’s burden” and an effort to enlighten and elevate less-evolved peoples to the level of western civilization by way of language, dress, thought, and values assigned to beauty and aesthetics. In this relationship there also implies a desire to be idolized or to maintain superiority, which is achieved in some way through the oppression of the “other”, either directly or through invalidating/ discrediting their worth. This is the core of colonization, and the blood that runs through the veins of those indoctrinating the ideology. The mechanics of this are subtle, so much so that most are unaware of their own inherited privilege and often subconscious ideas of supremacy. Seeking to “help” or “educate” in an environment of imbalanced power, no matter how allegedly noble the intention, has within it an inherent core idea of inferiority. Perhaps most interesting and disheartening is that not only is this flawed concept at play in the minds of the powerful, it is also propped up by those oppressed by it. There is nothing easier than internalizing our own oppression and believing the narrative that we ourselves lack the competence to achieve things on our own. Sadly, many local organizations doing incredible work have fallen victim to such thinking and have come to believe that foreign experts are needed to teach them how things should or should not be run. We become dependent on the perceived abundance of foreign aid in forms of funding or leadership, and in believing it’s the only path to surviving in this imbalanced world, we spell our own detriment. These transgressions are dangerous primarily for their subtlety; details that carry power to change the narrative are often overlooked or altogether omitted. In 2016, a story surfaced about the rescue and transfer of several lion cubs from Al-Shabboura refugee in camp in Gaza to Jordan. 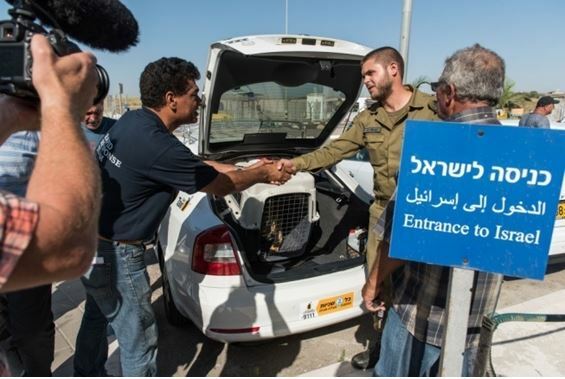 This successful rescue gained international recognition and all praise was given to the International organization Vier-Pfoten as well as the Israeli Occupation Forces who “allowed” the transfer of the cubs from Gaza. It will never be recognized that a large part of the effort was executed in-country by the Palestinian Animal League; moreover, the local Palestinians’ only role in the story is the people from whom the cubs had to be resettled . Such affirmed and perpetuated the stereotypical image that “we” are not reliable enough to manage our lives and its various aspects without “them”, the white saviors. Even if these white saviors had this positive outlook that ‘we’ and ‘them’ have common interests and that we should work together, and even if their intentions were pure, our work together would always be according to the outsiders’ standards. I do not seek to criticize anyone in particular and I refuse the ideology of generalization; of course, not everyone bears this way of thinking or poses this vision of being the white savior of those deemed to need one. In my own experiences with charitable organizations, however, I have been unable to escape noticing these destructive patterns and would be negligent not to contribute my own voice to the conversation. It is true we cannot help the narratives that shape our lives but it does not excuse us from the responsibility to reflect critically and be prepared to challenge and change them. The first step to be fully aware of what is currently going on and the roles your own society is playing in the imbalances of power which are yielding the situations you seek to “help”. This is your fight, your battle and you have to be part of the dismantling from the inside. It is not enough to feed a dog or shelter a cat and feel like you have done something for your own sense of humanity or clearing your conscience. It’s trivial to write a solidarity Facebook post while safe in your comfortable existence just to stroke your own ego that you garnered a few likes. Things are bigger than that. Question world order. Question how you are positioning yourself within it. Question the concept of “help” and the power dynamics it carries. Be the “other” for we are one. And for those who are able to see their liberation as ingrained in that of ours, then let us proceed together as equals.